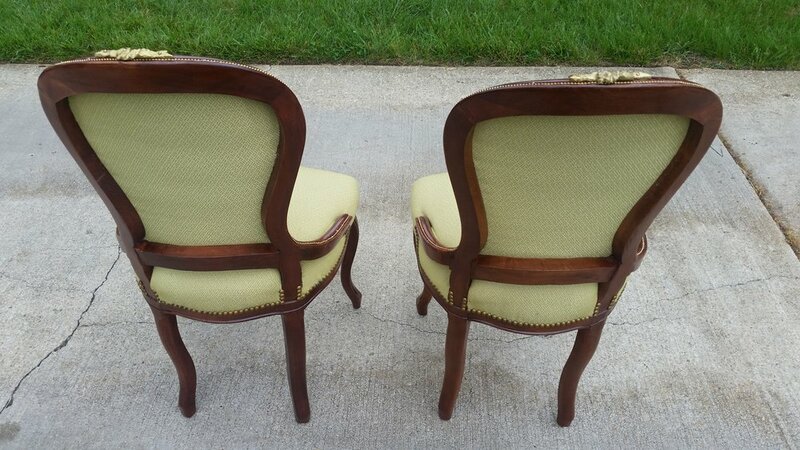 These wonderful side chairs required some much needed TLC. 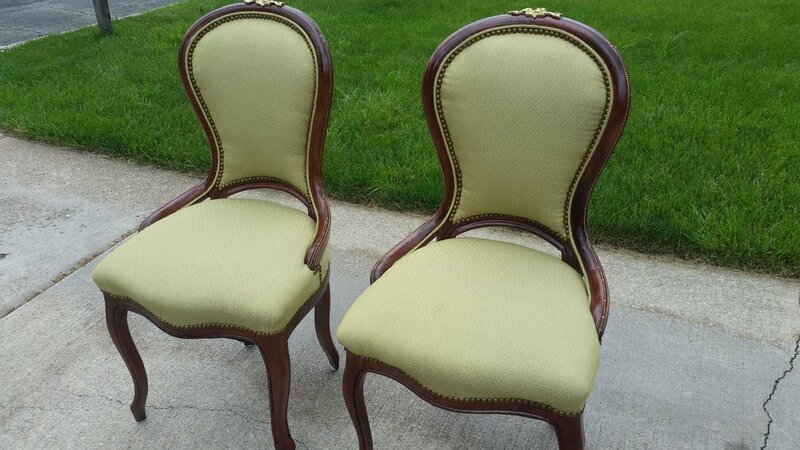 Structural repairs, color matching to the wood fame, foam replacement and batting for chair bottoms and backs were all applied. Also provided was a complimentary fabric consultation to assist with this client's design style. 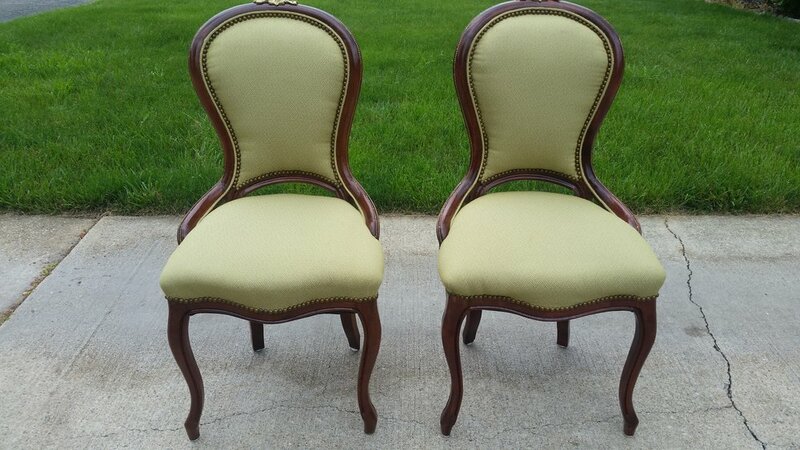 Reupholstering complete with decorative nails and trim. Happy Client!